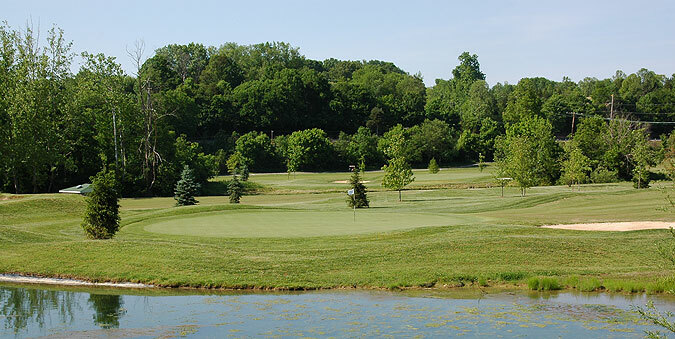 Old Capital Golf Club in Corydon, approximately an hour from Louisville, is a value oriented course with plenty of hole by hole variety. 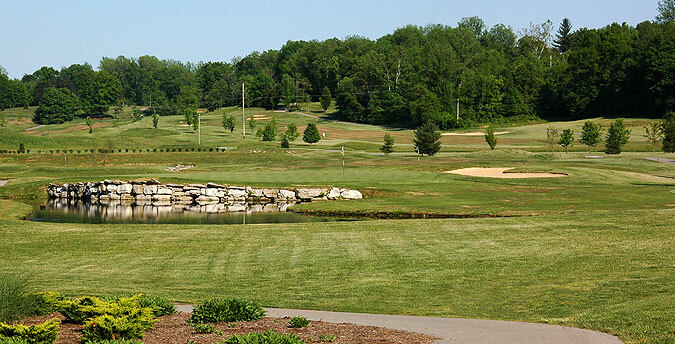 This 18 hole, par 72 championship course measures to 6732 yards and has plenty of obstacles to challenge golfers at all skill levels. 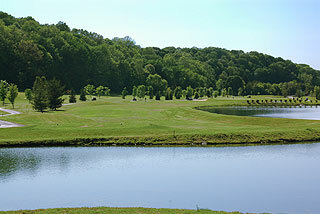 Beginners are welcome and encouraged to play the par three short course, which is also on property. The terrain is fairly flat throughout some areas while there is extreme elevation change and undulation at others. On most holes there is plenty of landing room on the fairways, although golfers will often find trees near the tee boxes which make the holes seems tighter than they really are. 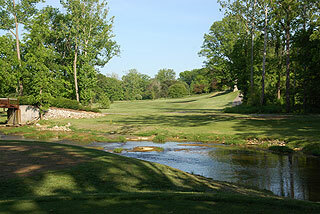 The biggest challenge on the course comes in the form of water hazards which come into play on nearly every hole. 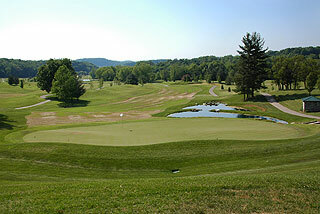 There are plenty of up and down opportunities as the terrain is fairly level near the greens. 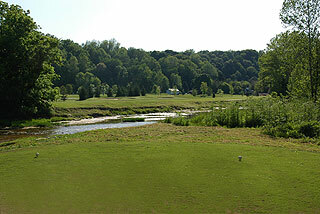 Water comes into play in the form of ponds and streams on 12 holes, and there are 32 sand bunkers guarding the greens and fairways. 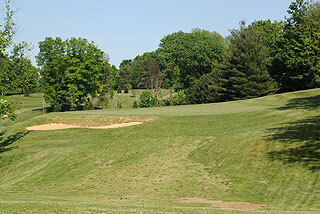 Five sets of tee boxes play to distances and slopes measuring 6732 yards/133 slope, 6372 yards/129 slope, 5935 yards/123 slope, 5412 yards/116 slope for the ladies, and a beginners set is 2469 yards with a slope of 107. Red white and blue yardage plates are posted at 100, 150, and 200 yards on the Bermuda grass fairways and cart paths, and sprinkler heads are measured to the center of the green on all par fours and fives. Daily pin placement sheets are posted on all carts and score cards with 6 possible hole locations for each of the mildly sloping bent grass greens. 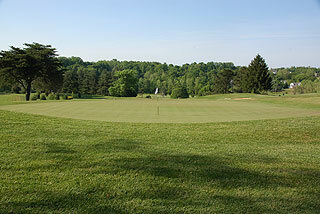 On property is a practice facility which includes an iron only grass driving range, putting green, short game area with sand bunker, and a three hole short course for beginners. 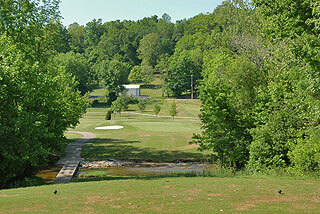 Golf education programs are available and required by juniors and beginners before use of the short course. 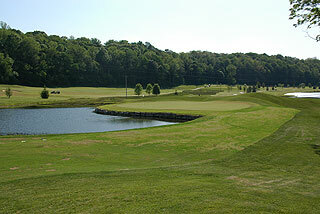 The clubhouse features a pro shop, a full restaurant open for lunch and dinner, and a banquet facility. Old Capital is a fine golf facility and as the slope ratings indicate, presents a fair experience for beginners and avid golfers alike. For more info, visit our page for the course with a direct link to their website by clicking here.